There is no such thing as a free lunch, but this trade is as close as it gets. 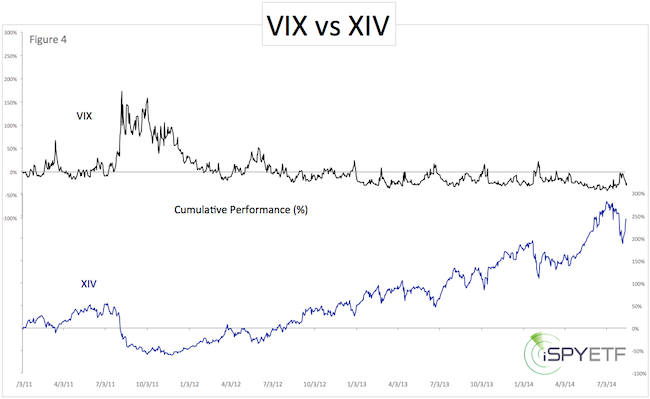 Inherent VIX Exchange Traded Products (ETP) flaws tend to consistently erode investment returns, but this trade reverses the erosion into a tailwind of about 0.24% per day. This is a reprint of the August 24 Special Profit Radar Report: The latest trade is discussed at the bottom of the article. Barron's rates iSPYETF as a "trader with a good track record." Click here for Barron's assessment of the Profit Radar Report. There is no ‘VIX stock.’ The only way to invest in the VIX is via futures or options, which are complex financial instruments. ETFs, ETNs or other ETP’s use futures or options to attain 'VIX-like' performance. 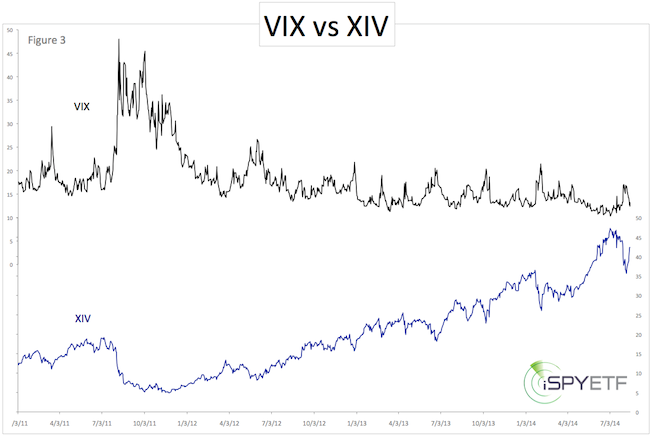 VIX futures and options generally suffer from some sort of time decay. A list of VIX Exchange Traded Products that benefit from contango, a updated VIX seasonality chart, and actual buy/sell signals are available via the Profit Radar Report (the Profit Radar Report recommended to buy XIV at 33.55 on September 12, we already sold half the position for a profit). 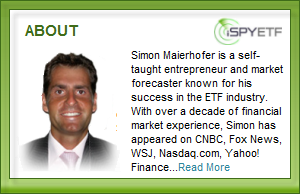 Simon Maierhofer is the founder of iSPYETF and the publisher of the Profit Radar Report. 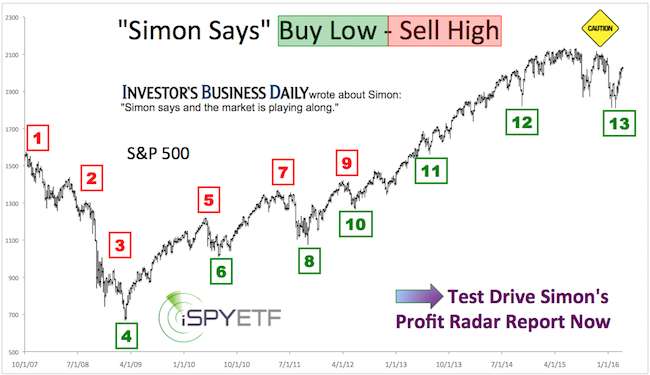 Barron's rated iSPYETF as a "trader with a good track record" (click here for Barron's profile of the Profit Radar Report). The Profit Radar Report presents complex market analysis (S&P 500, Dow Jones, gold, silver, euro and bonds) in an easy format. Technical analysis, sentiment indicators, seasonal patterns and common sense are all wrapped up into two or more easy-to-read weekly updates. All Profit Radar Report recommendations resulted in a 59.51% net gain in 2013, 17.59% in 2014, and 24.52% in 2015.